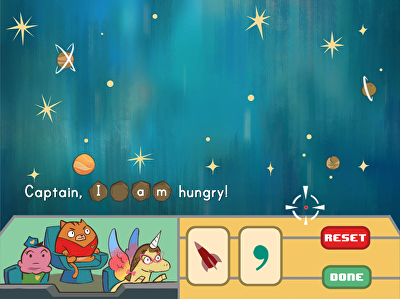 Kids practise placing apostrophes in contracts in this interactive space-themed game! 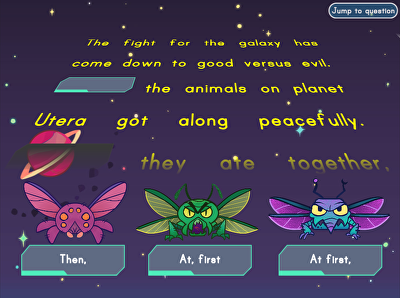 Kids help complete a fun story about another galaxy by filling in the correct transition words. Let's play ball! 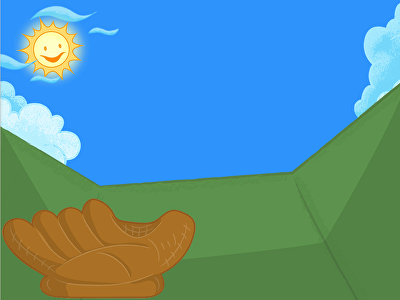 Kids practise combining two words with an apostrophe to make contractions in this baseball grammar game. 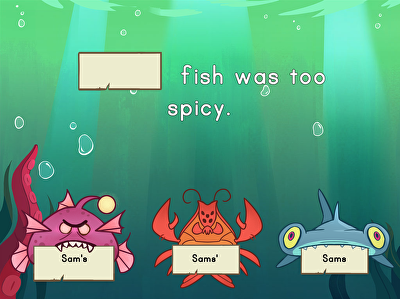 Kids select the correct possessive noun in this underwater-themed game.